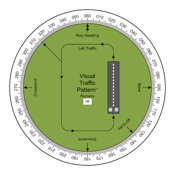 The Visual Traffic Pattern provides a complete visual reference to a selected runway's left or right traffic pattern. 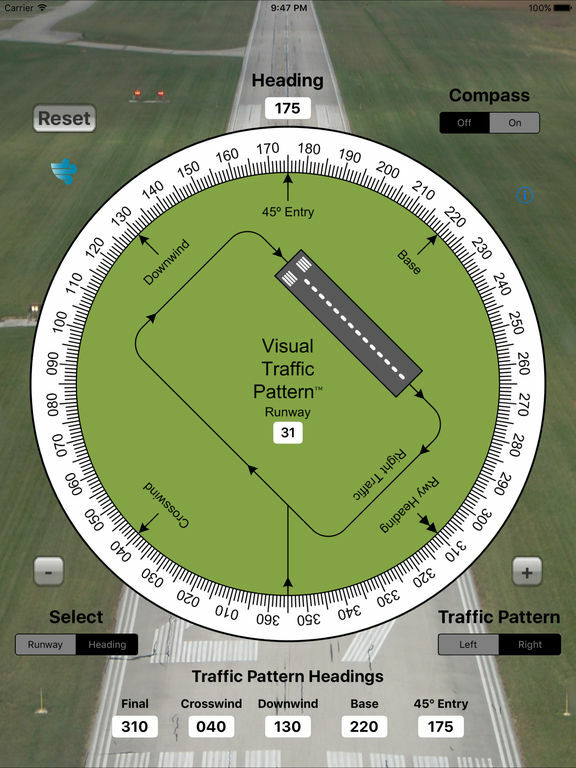 With a single finger rotation a pilot can easily view the runway, crosswind, downwind, base, and 45 degree entry headings associated with that runway's traffic pattern. The entire circular image can be rotated to match the aircraft's heading to allow the pilot to visualize the aircraft's approach to the selected runway. This app is designed for optimal viewing and use on an iPad or iPhone 5 screen size or larger, however, it is fully functional on the smaller iPhone 4 3.5 inch screen as well. This app requires iOS 8.0 or greater. 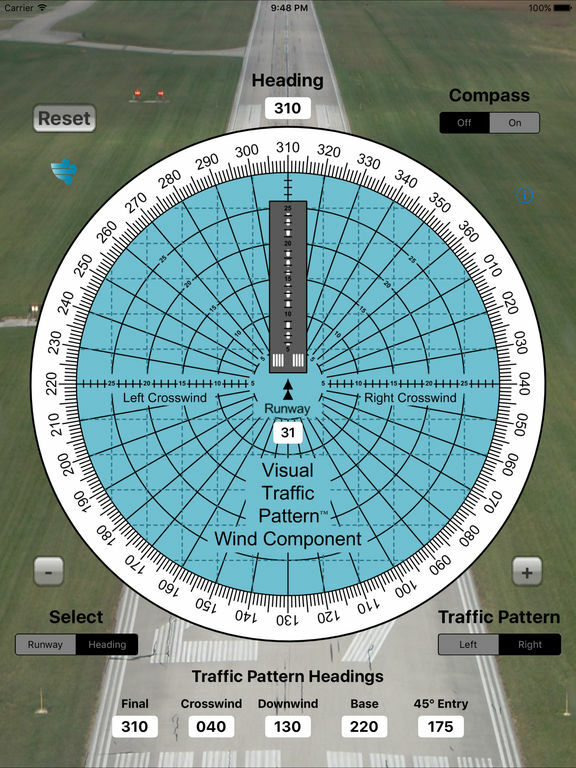 Future updates to this app will include compass (now added) and GPS control of the Heading indicator in addition to the current manual operation.